* Schreber, 1774. Die Saugethiere, 1: 167. * Eptesicus (Eptesicus) serotinus on Mammal Species of the World. 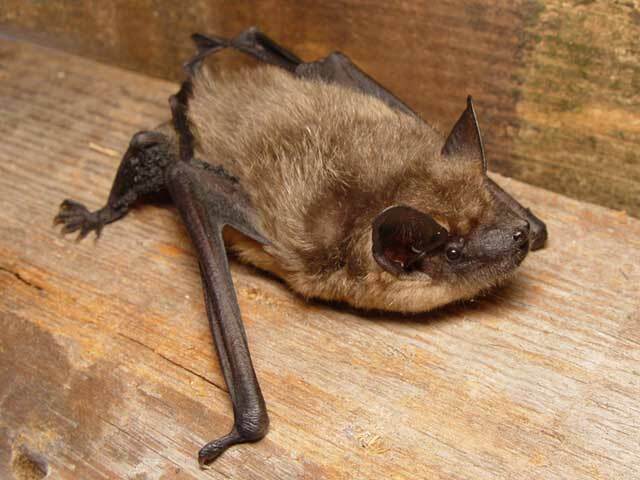 The serotine bat Eptesicus serotinus is a fairly large European bat with quite large ears. It has a wingspan of around 370mm and often hunts in woodland. It sometimes roosts in buildings, hanging upside down, in small groups or individually. Its population is believed to be in decline. * Chiroptera Specialist Group (1996). Eptesicus serotinus. 2006. IUCN Red List of Threatened Species. IUCN 2006. www.iucnredlist.org. Retrieved on 10 May 2006.